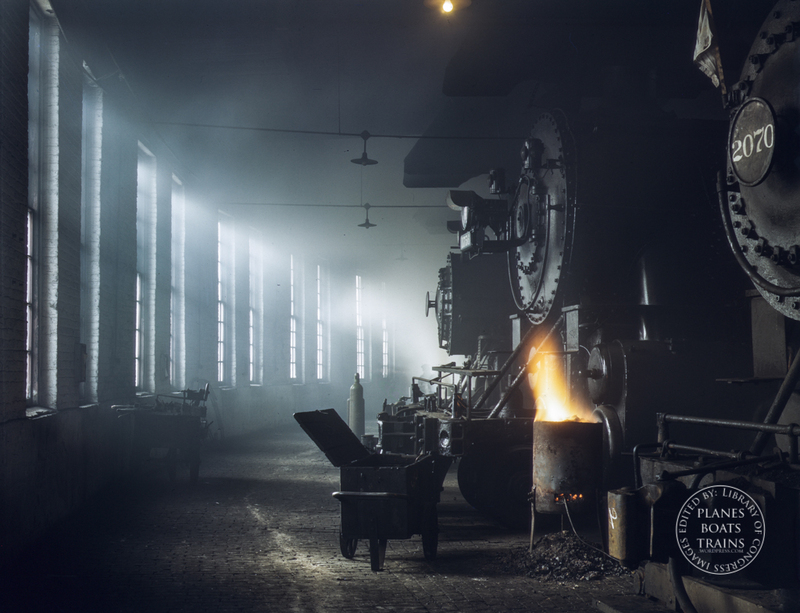 Title: In the roundhouse at a Chicago and Northwestern Railroad yard, Chicago, Ill. The original image has what looks like a yellow / green colour cast, although I could be wrong. I personally think it’s unnatural, but I don’t know as I wasn’t there! I’ve had a go at correcting it to what I consider a more realistic colour of light, but I could be way off (and it’s maybe a little too blue).